It’s been over a month since Malaysian Airlines flight MH17 crashed to Earth. Though immortal hell has broken loose in European economic circles since, and many an allegation has since flown, we of the world still wait pariently for answers into the biggest airline “shoot-down” mystery in history. By now nearly everyone knows the original reporting was inaccurate. But the long silence from Washington and the intelligence community in the west now threatens the credibility of nations. If Washington does not answer soon, unless some greater cataclysm sweeps MH17 under the rug, the system will surely suffer a blow. For the families of the victims of the tragedy, the only truth they know is loss. On July 17th, Boeing airliner carrying 298 persons took off from Amsterdam’s Schiphol airport headed to Kuala Lampur. At about 1:15 local time, Ukraine air traffic control lost contact with the plane over the town of Toretz, near the Ukraine-Russia border. We also know that within a few minutes or hours of the event, the US State Department began condemning first the pro-separatist in fighting in the east of that country, and then Russia itself for the tragedy. The mainstream media chimed in, as did Britain, Australia, the Dutch, and to a lesser extend other EU leadership. With allegations based on social media, and total speculation, the leaders of the so-called west stirred a smoking cauldron of chaos. Europe, and much world was aroused to a certified attack on sovereignty, on decency, and against Russia’s most obvious foes of late. Unfortunately for the rabble-raouser, their proof did not hold up. The “proof” Washington and the others “cooked” up amounted to alleged separatist communications bragging about the shoot down, recordings now revealed to be contrived. The BUK surface-to-air missile system British and American news expected us to believe was ferried about civil war stricken Ukraine? Well, that was social media footage compiled to convince of the inconceivable. Not even the intelligence community in the west could show proof. Within hours John Kerry, Hillary Clinton, NATO’s loudmouth Anders Fogh Rasmussen chimed in with Britain’s David Cameron condemning that which there was zero evidence of. Those alleged heat signatures US spy gurus said proved there was a Gadfly missile launched? Those images or that data never appeared. The shrapnel patterns on wreckage at the crash site of MH17 that supposedly indicated a surface-to-air missile? It turns out it’s more likely those holes show an air-to-air missile and machine-gun fire like from the Ukrainian SU-25 attack aircraft Kiev initially denied was aloft. If you Googled “MH17” this morning you found mainstream media reiterating passenger details and “no news” bits about the most significant detente disaster in recent history. But on day one, the media and governmental streams of misinformation were going crackers over “Putin’s Missile” and other John Kerry rantings. Just hours after MH17 went down; Kerry issued a generic press statement expressing US administration horror. The media picked up on a sound bite from Vice President Joe Biden the day of the incident too. Biden quipped MH17, “had been shot down and blown out of the sky” over eastern Ukraine. The Tweet from Reuters came only a few hours after MH17 was lost. Imagine what had to transpire for all that had to transpire. But the message was not congruent throughout America’s leadership. Intelligence Committee Chairwoman Dianne Feinstein told her people the circumstances were unclear. Then Hillary Clinton went on the Charlie Rose proclaiming “truths” without a speck of evidence to show. What’s most interesting about the video segment below, is how Clinton admittedly was interested in the stock market as World War III was about to start. Listen closely. The, just 2 days later, Jen Psaki, State Department spokesperson, released another statement damning the pro-Russian separatists for “limiting access” to the MH17 crash site. That same evening, John Kerry was back at it on CBS Face the Nation accusing Russia and the separatists as if Vladimir Putin himself pushed the button to down MH17. Headlines read, “Enormous amount of evidence” Russia involved in MH17 crash. The fact the US backed Kiev regime began a massive offensive on top of the MH17 crash site, that escaped even the most diligent western reporter. The greatest “truth” we have so far out of the Malaysian Airline’s disaster that MH17 is, is the economic disaster sanctions against Russia by the EU over Russia’s alleged part in the MH17 event. The “story” of MH17 has already costs individuals and businesses across the EU. Insinuations of Russian aggression do not make sense in light of a cool and calculated Vladmir Putin. Not until the EU followed suit with Washington over this aircraft incident, did Putin even really consider heavy sanctions in counter. Now, the Russian leader is poised to ignore totally America and the Europeans where commerce is concerned. 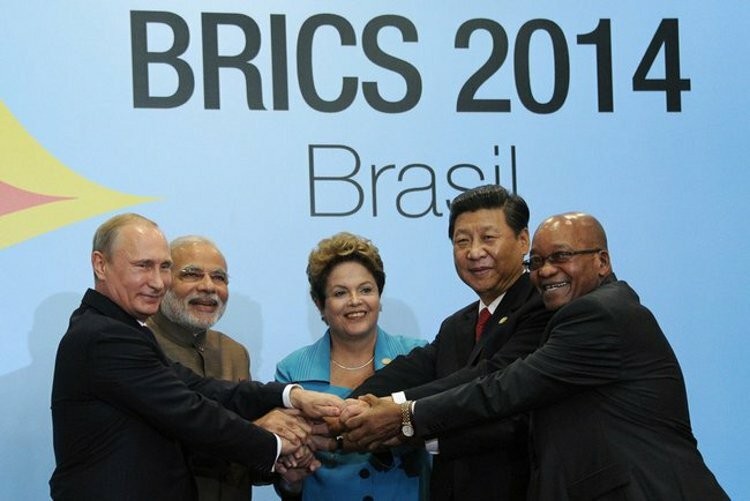 Deals Russia is penning with China and the other BRICs could spell disaster fiscally for the United States and the NATO allies. In a globalized world, which the Clintons, Bushs, and Obamas have sought, America simply cannot stand alone. And Europe is ill equipped to prop up the United States. Whether or not Ukraine has been about NATO’s strategic positioning next door to Russia, or some bigger scheme to isolate Russia and usurp the energy markets from underneath Putin, it’s abundantly clear it does not matter. Russia aligned with China, Brazil, India and the rest of the world spells disaster for US interests. Even the sold out media will not survive an isolated Russia in the 21st Century, to believe otherwise is pure folly. Whatever facts we do have on MH17, the die has been cast for a compete split of the EU. What’s worse, Germany and other leading EU nations appear ready to give Obama and the Brits the slip anyhow. Spying controversies, decades of being pushed about by British and American businesses interests, I’m sure most of Europe is as ready for a Russian oligarch as a New York City one. We’re on the Titanic, betting on who can swim in ice cold water. For my part, I’ll bet on the people from Siberia. The facts of the current economic catastrophe shaping up bear scrutiny. ING Group recently told reporters trade embargoes by Russia could cost upwards of €6 billion euro and over 13o, 000 jobs. The Europeans simply cannot afford this. All this over “air” – over a proven liar or liars yelling “Putin, Putin, Putin did it” at the top of their vested interest voices. If the CIA, NSA, or GCHQ had proof Russia or the separtists downed this aircraft, we’d have seen it already. The only reasaonable explanation for NOT having seen the evidence is, Kiev or the CIA shot down the plane. As for media like the mighty New York Times? They’ve not even shown us the Russian Defense Ministry side of the investigation. All we hear from them are quips about Putin invading Ukraine with first aid trucks, then “un-invading” driving back to mother Russia. On Putin I’ll say this. “Just what the hell kind of Russian leader would he be if he left Russian speaking citizens in east Ukraine to starve or worse?” Let’s face it, he’s taken the exact logical course of action at every turn in this. Russia annexed Crimea, Obama cries! Those people would have been subjugated and NATO infused otherwise. What world leader can you name who would tolerate that? Abe? Can you envision China’s Xi Jinping turning a blind eye? I hope I made my point. 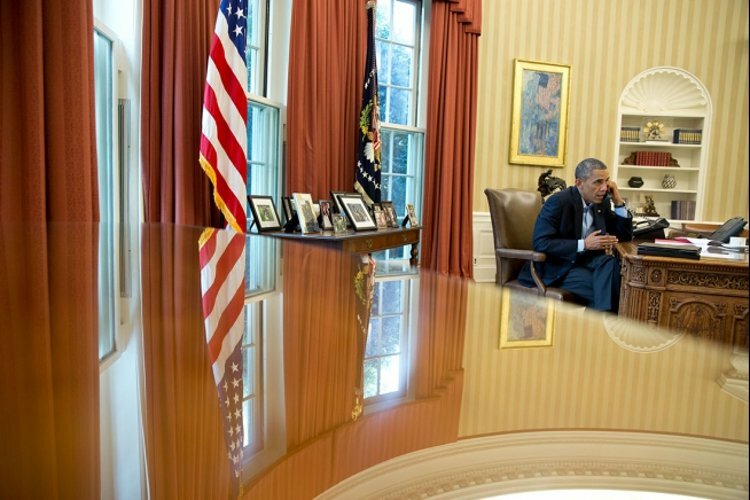 The US Administration is not wearing the “white hat” on this one. We should demand to see whatever the NSA and CIA have on this, NASA too. As for who’s winning the war of wills and sanctions? You’re being told Americans and Brits are, with the Germans in tow. The truth of the matter is the image above represents roughly 4 billion people. Thing again, who’s winning. 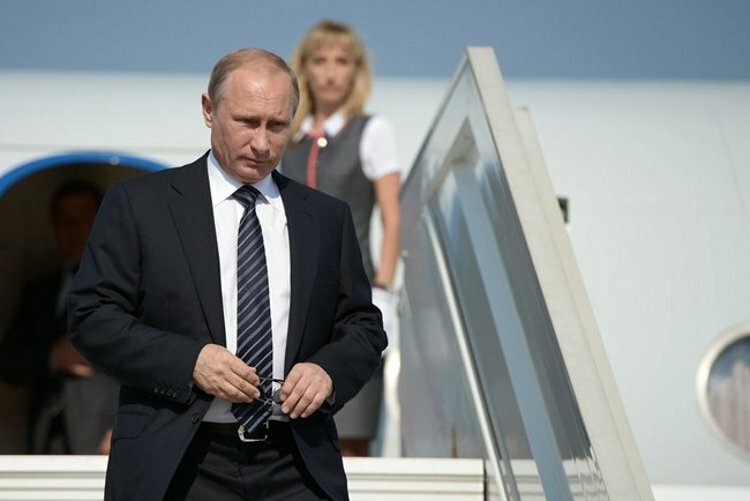 If Vladimir Putin is not Satan himself, how can so many newspapers and newsrooms claim he is? The man Americans trust as their president, and all of his men and women, why they say he’s the root of all evil too! So, Russia’s president has to be evil, he has to be responsible for everything bad on Earth, right? 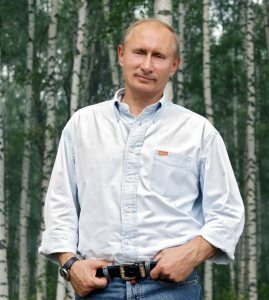 Vladimir Putin is a very powerful man indeed. To have spurred a media and political campaign of such proportion, and hate news of such magnitude, he has to be a fearsome entity to somebody. Since Edward Snowden more or less “defected” to Russia, the people he implicated have been on the heels of Russia’s president. And relentlessly. A New York Times editorial, saving a Syria war, and wanting a Ukraine neighbor “Non-NATO” – Putin has only really acted like any good leader of Russia would. What you see, read, and hear now is a “put up job” of corporate lies aimed at starting a war. A war none can win except the industrialists. And we are already in it. Why the headlines already ordain it almost. Where Were You When the World Went Mad? Readers, make no mistake here, somebody (or somebody-s)very rich and very powerful is trying to hurt Vladmir Putin. There’s nothing but evidence showing some Washington involvement available, and still the coal is being stoked into the western press boiler room. It’s fantastic! Unparalleled! Stupendously ridiculous. But it’s happening. The board of directors of the Associated Press essentially control the preponderance of news citizens see in the United States. Here who those controlling parties are, along with their principal interests in the media. Beyond the control these media people exert, Six corporate conglomerates control almost everything you see, read or hear about world events in the US, these are; Disney, CBS Corporation, News Corporation, Viacom, Time Warner, and Comcast. It’s fair to suggest here, that the relatively small number of influencers of your news, they represent a“cartel” of information distributors with unparalleled influence. I make mention of Berkshire Hathaway so many times in this report for one reason. Warren Buffet’s company (BH) has Terry J. Kroeger on the AP board, and BH helped bail out AP board chairperson Mary Junck’s Lee Enterprises out of bankruptcy not so long ago. To a large extent, whatever AP broadcasts to these hundreds of local and national newsrooms, this is what most Americans see. So, if ANYONE exerts undue influence on one or more board members of these news consortium, the end result is as opinionated as it is news worthy in my opinion. 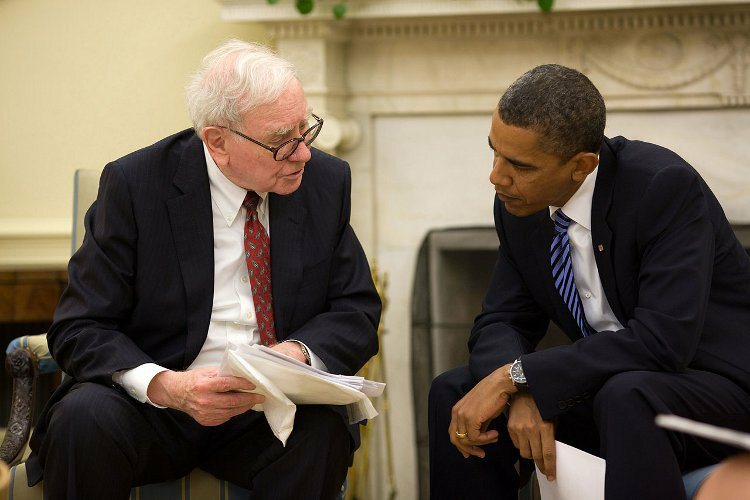 Does Berkshire Hathaway exert undue pressure? Who can know this but the heads of BH or those leveraged? Turning to international mainstream media, studies also show a huge bias depending on topic from world leaders like BBC and others. As for BBC, a study of BBC television news coverage from Glasgow Media Group documented differences in the language used by journalists for Israelis and Palestinians. I’ve made note of similar differences when BBC discusses Pro-Russian separatists in Ukraine, the situation with investigating MH17, and in particular where Vladimir Putin is concerned. So called “emotive language” is utilized, as well as the bleak omission of counter reports from Russian and other sources. On the downing of MH17, the British press has largely omitted ANYTHING that leads to an argument other than Russia being completely responsible. Not even satellite imagery or emerging reports of Kiev admissions seem to matter. How can this type of media control happen? Only money and monumentally powerful influence can alter the truth on this scale. Turning back to Berkshire Hathaway for a moment, Gazprom, the Ukraine connection to Europe’s natural gas supply, President Obama’s natural gas focused climate plan, the opening of 30,000 new fracked oil wells in the last couple of years, and Buffett’s company’s (Buffett seen below in the Oval Office, is reportedly worth nearly $60 billion) interest in natural gas and natural gas transportation, bear watching here. This report, from RIA NOVOSTI for instance, never even made a dent in the western propaganda. Despite the logic of the story, and the source directly pointing at Kiev culpability, not even a whimper was heard via Thomson Reuters, AP, BBC, or any other media outside citizen bloggers and independents. At the other end of the spectrum, a story early on showing a pro-Russian separatist holding a child’s toy, it was taken out of context by thousands of media outlets to condemn a man as an animal. When it was shown the frame was from a video revealing the rebel’s reverent and wholly appropriate feelings toward a child victim of MH 17, that story was squashed. From Washington we have pictures of Ukraine separatists taken out of context, alleged admissions of guilt and recorded evidence already rendered fake, images of Buk Gadfly systems proven fake, lies from Kiev on military aircraft in the area, lies about Ukraine/Kiev operated Buk systems in the area, a resigned Ukraine PM, and of course a media frenzy of unparalleled proportions. Unbiased and interested readers should read this “false flag” report. Graham Phillips, alive and well in Poland today. The stream of stories, the emerging character of the Kiev authorities only alluded to by some press before the east erupted in violence, the US backed regime there has taken on a dark character. 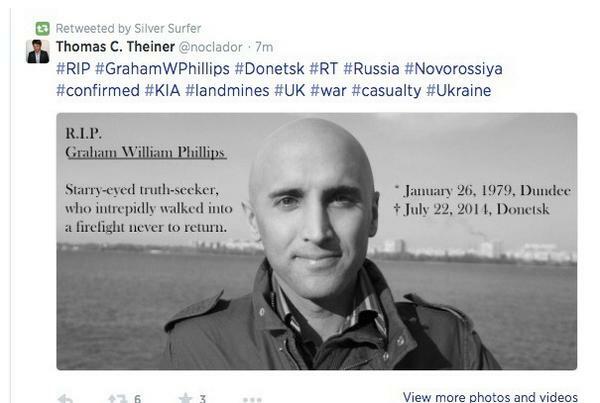 RT freelance correspondent Graham Phillips (above via TwitPic), was taken prisoner a second time these last days. Accused of only “working for RT the enemy” Phillips was just detained, then dumped out on the Polish frontier somewhere. Soldiers of Ukraine at Donetsk airport beat his camera man, interrogated he and Phillips, then unceremoniously banished Graham from the country for three years with no official documentation. The reason I mention this is, as far as I know, no western journalist has been harmed by the pro-Russian separatists that I can discover. Despite the alleged ferocity and even west professed drunkenness of the separatists, have so far never been associated with violence toward journalists. Earlier this year, Russian journalist Anton Voloshin and his colleague Igor Kornelyuk were killed by Ukrainian military mortar fire. Russia’s Sergei Dolgov, who was an editor at newspapers Hochu v SSSR, is believed to have been tortured and killed by pro-Kiev elements. Anatoly Klyan, a cameraman for Channel One, was killed in an overnight attack by Ukrainian forces on a bus carrying journalists and soldiers’ mothers. Italian photo journalist Andrea Rocchelli and his Russian interpreter were killed in a ditch by Ukraine security forces mortar fire back in May. So as you can tell, covering the other side of the Ukraine upheaval story is proving extremely hazardous for storytellers. The news we are fed, here in Germany, and in the rest of the west, it’s become as unreliable as any tabloid. Worse still, the people who try and ask the right questions, even viable answers to “what’s really going on in the world” – we’re subject to extreme criticism, undue scrutiny, and as you see, even a death penalty for some. 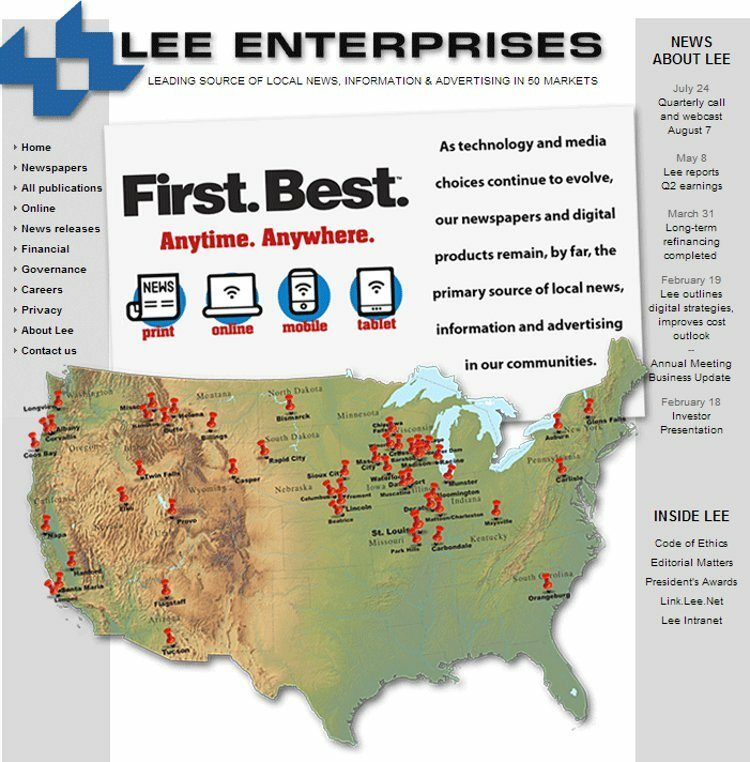 Meanwhile, the Associated Press affiliate run by AP Chairperson Mary Junck’s Lee Enterprises in Sioux City Iowa…. well, those readers get a headline, an AP picture of pro-Russians in Donetsk on a tank, and no proof of the headline ‘”US: Russia is firing across border into Ukraine” whatever. Now there’s continuity and consistency for you. The State Department and the press, ad nau·se·am. How stupid do they think you are? Mighty, pitifully, and deadly stupid.